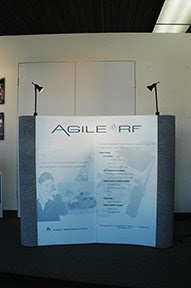 We recently completed a project for Agile RF, a wireless technology company located in Goleta. The pop up display is lightweight and collapsible, making it easy to transport to different trade show locations across the country. 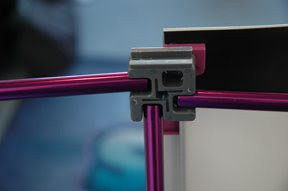 The frame is made of lightweight aluminum and can be completely collapsed. Two lamps were included with the package which help make the graphics "pop." 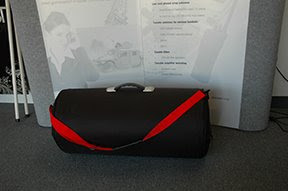 The included soft case can be upgraded to a hard shell case from the same manufacturer, which is recommended for shipping or checking the display at the airport.